Sherlock(Jonny Lee Miller) and Watson (Lucy Liu) consults on a child abduction case involving a serial killer who is nicknamed “The Balloon Man,” because he leaves a signature batch of balloons at each of his crime scenes. 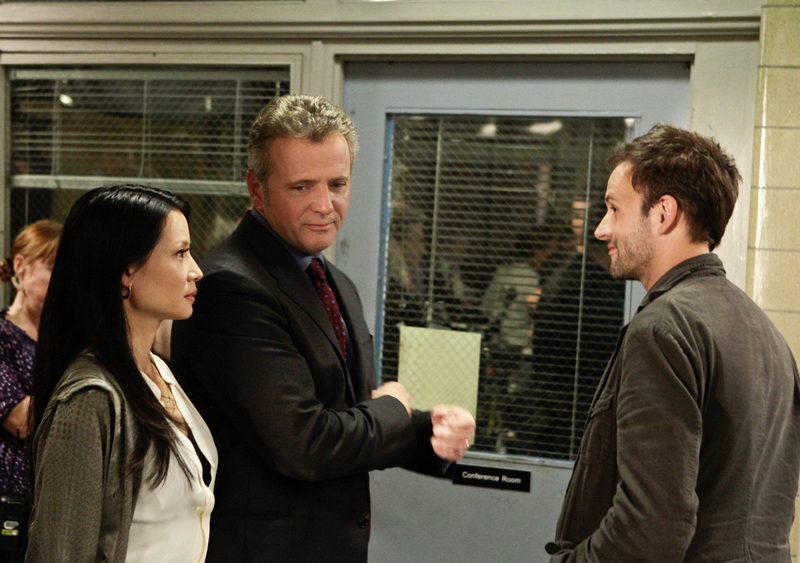 Also pictured is Captain Gregson (Aidan Quinn, center). Photo Credit: GIOVANNI RUFINO/CBS © 2012 CBS. All Rights Reserved.